If you are looking for summer things to do in Marbella, you will be spoilt for choice with a vast range of things to see and do during the warmer months. 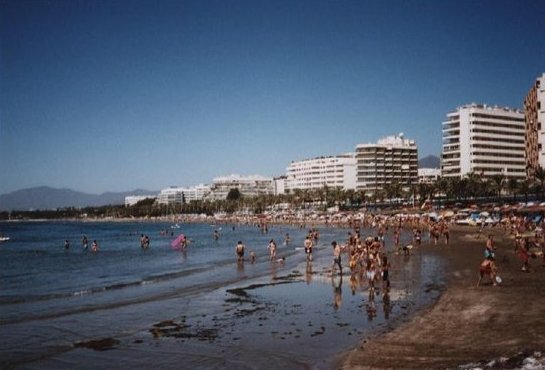 With temperatures soaring on the Costa del Sol, summer 2018 in Marbella is expected to be busier than ever with a host of new restaurants and bars opening up in town..
Marbella boasts plenty of long, sandy beaches where you can chill out solo style or rub shoulders with the jet set at one of the lively beach clubs. Join in the fun at the Ocean Club, Nikki Beach or La Sala Beach if you want to meet some celebs, or take a trip to Golden Beach, Elviria if you want soak up the sun. Most beaches have parasols and sun beds for hire, and water sports include water skiing, kite surfing, wind surfing and jet skiing. Marbella properties for sale include townhouses, apartments, studios and villas, popular with ex-pats to use as holiday homes or permanent residences. No visit to Marbella is complete without a trip to Puerto Banus. Whether you want to be seen or you want to relax at the port side and people watch, Banus offers a wide choice of attractions. After sunset, the port really comes to life with water-side restaurants and night clubs open till dawn. Marbella Old Town is home to some of the best pavement cafés, restaurants and bars in town, and the ornate square with over 40 orange trees is a perfect place to sit and watch the world go by. Explore the cobbled streets around the town centre and you will find yourself being transported back to the Spain of yesteryear with whitewashed buildings and ornate fountains. Cabopino is a much smaller port than Banus, but is preferred by many visitors to Marbella. Situated just 7km east of Marbella Centre, Cabopino has a long, sandy beach, three reputable beach bars serving snacks, full meals and a wide choice of cocktails and wines and some great water-side restaurants in the port. If you fancy a round of golf, the Cabopino course is just a two minute drive from the marina. Beachside properties and golf properties east of Marbella for sale offer excellent rental potential all year round. Marbella´s beach bars, or ´chiringuitos´ are legendary, and if you can drag yourself away from your sunbed, grab some lunch at one of these lively restaurants come beach bars. Whether you want a full meal or you fancy a snack, all tastes are catered for. Try the Malaga fried fish, the seafood stew or a fish and meat paella between two. Order a jug of sangria or summer red, tinto de verano to really get you in the ‘Marbella mood’. Properties for sale in Marbella are among the most sought-after in Spain and include apartments, villas and townhouses in Elviria, Marbella, Costabella, Cabopino and El Rosario.